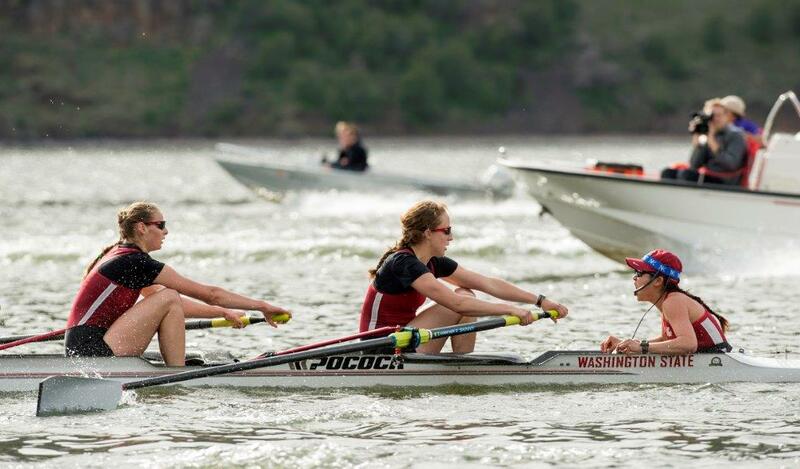 University of California, Berkeley, Barry University, and Bates College claimed the top spots in the fifth regular season USRowing/Collegiate Rowing Coaches Association Division I, II and III Collegiate Rowing Poll presented by Pocock Racing Shells. After a showdown at the Lake Natoma Invitational the Division I poll sees it’s third program reach the top spot in the team rankings. The University of California, Berkeley now is in the top spot in the Division I poll for the first time this season with 21 first place votes, and a total of 481 votes. Brown University moved into the No. 2 spot with one first-place vote and 442 total votes. And Ohio State University moved up into third place in this weeks poll three first place votes, and 427 total votes. In the Division II poll, Barry University held its first-place ranking, securing all five first-place votes and 200 total votes. Western Washington University jumped up into the No. 2 spot with 126 votes, and University of Central Oklahoma now sits in the No. 3 spot with 116 total votes. In the Division III poll Bates College remains in the top spot for the third week in a row with all ten first-place votes and 150 total votes. Williams College jumped into the No. 2 spot with 132 total votes. And remaining in the No. 3 spot for the fifth consecutive week is Wellesley College with 126 votes.